Word-for-word, that’s actual 2005 correspondence between Mr. Gervais and Mr. Bowie, two British performers whose shared enthusiasm for one another’s talents (relentless musical innovation and scathingly black humor) made them fast friends and pen pals. 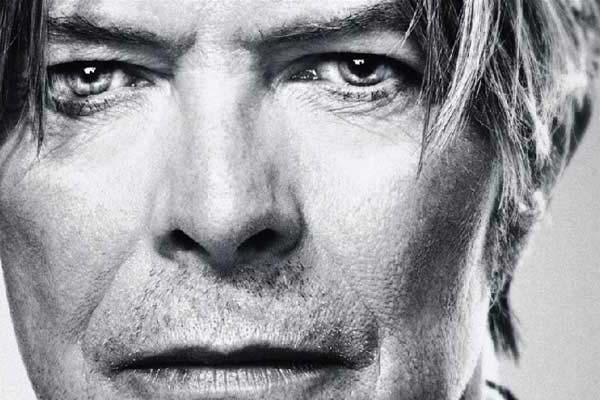 Eight birthdays later, Bowie’s half tongue-in-cheek response still sheds light on the paradox at the core of The Next Day, the alt-rock forefather’s unexpected twenty-fourth album and first since he suffered a heart attack in 2004. It’s a compelling and bold effort, if not a game-changing one, that both utilizes and pays respect to the myriad of musical genres and pop tropes that David Robert Jones has traversed across six decades. It also reminds us what remains unchanged — his superb songwriting. Finely crafted, poised, and impassioned without being sentimental, The Next Day keenly acknowledges Bowie’s awareness of his unimpeachable place in rock music history and his increasingly apparent mortality. The spectre of Bowie’s near demise hangs over The Next Day, a realization toward which he is both contemplative and contemptuous. A lovely piano melody and Bowie’s shaky croon embues lead single “Where Are We Now?” with a stark haggardness and sense of finality unlike anything else in the Thin White Duke’s canon. Never has the singer allowed himself to sound so old and fragile, but there’s unexpected beauty found in that truth. Nevertheless, Bowie snarls in defiance on the title track: “Here I am, not quite dying/ My body left to rot in a hollow tree.” Undaunted, he continues to fight for life on “the next day, and the next, and another day,” just like he’s always done. It’s a fitting maxim for one of rock music’s most legendary survivalists —a hedonist whose best work came during the 20th century’s most decadent decade, who revealed the extent of his cocaine usage by saying “one day I blew my nose and half my brains came out,” and who once came claimed he was a tri-sexual (“I’m willing to try anything once”) but somehow dodged AIDS, the bullet of his generation. For an artist whose albums are often built around thematic concepts (Ziggy Stardust, Diamond Dogs, Outside) or carefully sequenced with peaks and troughs (Low, “Heroes”) The Next Day is remarkably straightforward and uncomplicated. It feels like a collection of could be singles that each highlight different facets of Bowie’s storied career. “The Next Day” and “(You Will) Set The World On Fire” are big-riff, axe-driven rockers in the spirit of the ones Bowie popularized in the 70’s. The burping horns and glam pop melodies of “I’d Rather Be High” and “Dirty Boys” sound exactly like Brit Pop from mid-90’s Blur, a band who once made their living off of aping Bowie. “Dancing Out in Space” melds the sort of buttery guitar hook and catchy-as-hell pop swing that Bowie practically invented during his years in Berlin, while “If You Can See Me’s” stuttering time signature and jungle rhythms recall the experimental electronica on 1997’s Earthling. “Now you could say/ I’ve got a gift of sorts,” Bowie belts out confidently, his chameleonic talents on full display in the best material he’s had in decades. Although the deep cuts on The Next Day give nods to Bowie’s older works, the best moments aren’t quite up to par with those masterpieces. The album lacks the sort of sure-fire radio classics that Bowie seemed to crank out with regularity in the 70’s and early 80’s. Second single “The Stars (Are Out Tonight)” is an upbeat sing-along number that’s pleasant enough for a couple of listens until you realize it’s built around little more than a cliched pun and an awkwardly phrased chorus. Bowie is well-versed in the price and pleasures of modern stardom (this is the guy who wrote “Fame” and “Fashion”, after all) so it’s unfortunate that a muddled, sappy lyric like “We will never be rid of these stars/ But I hope they live forever” should aim for satire but fall like limp flattery. The unintentionally absurd video doesn’t help either, with Bowie and Tilda Swinton cast as a sycophantic suburban couple who fight off their younger doppelgangers. Bowie comes off a bit out of touch in one of The Next Day’s rare misfires. On the pensive album closer “Heat”, Bowie cryptically reveals: “I tell myself/ I don’t know who I am,” but all signs indicate otherwise. The Next Day’s homage to Bowie’s former musical selves and and its knocked-out “Heroes” album cover make it clear that the owner of one of world’s most famous rock brands is leveraging his own iconography. Over the course of his career, Bowie’s become a walking avatar — transforming both his music, creative style and public persona into a representation of current trends. But ever since Bowie’s neo-classicist period that began around the turn of the millennium, he’s gradually become comfortable with sounding like himself. This is the culmination of these efforts, and while it’s difficult to compare The Next Day with an album from a different era, it’s Bowie’s most well-rounded record since 1980’s Scary Monsters. When “Where Are We Now?” was released on Bowie’s sixty-sixth birthday, one YouTube poster lamented “Oh David, why can’t you be immortal?” Given the impact of Bowie’s body of work, I’d wager that he already is. 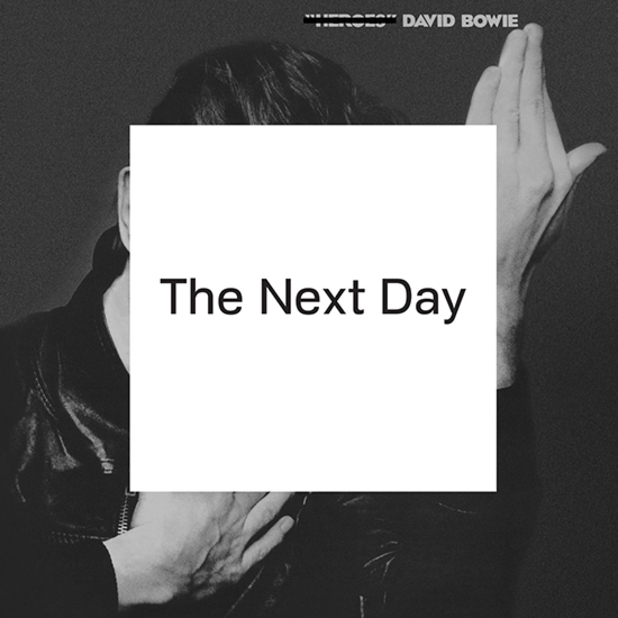 Critics have already likened The Next Day as a return to many things — Bowie’s classic rock roots, the indie glory of the Berlin Trilogy, and 80’s pop mega-stardom — which is fine because it’s all of these things and none of them. At heart, The Next Day is simply the work of a gifted songwriter who knows that his time is growing short and is intent on giving us the best he has to offer. It is more than we had any right to expect. It is interesting that you say that Bowie’s become a walking avatar, transforming both his music, creative style and public person. 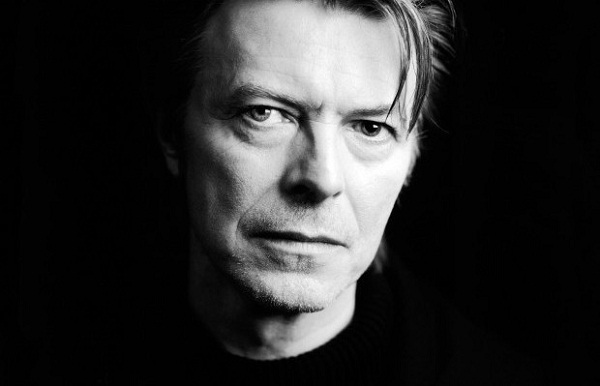 He has certainly changed over the years though his voice is still distinctively Bowie. This entry was posted on March 10, 2013 by Jeff Goodwin in David Bowie, Reviews and tagged Berlin Trilogy, David Bowie, Dirty Boys, I'd Rather Be High, If You Can See Me, Ricky Gervais, Scary Monsters, The Next Day, The Stars Are Out Tonight, Where Are We Now?, You Will Set the World on Fire.